The conference is now available on-demand. If you are already registered, log in now to access them. If you aren’t yet, you can buy a 12-month pass. Do you think it’s time to get better with digital analytics in higher education? Are you in charge of making sense of all the analytics data for your unit? Have you ever lost yourself in Google Analytics reports, dashboards and, oh, the possibilities? 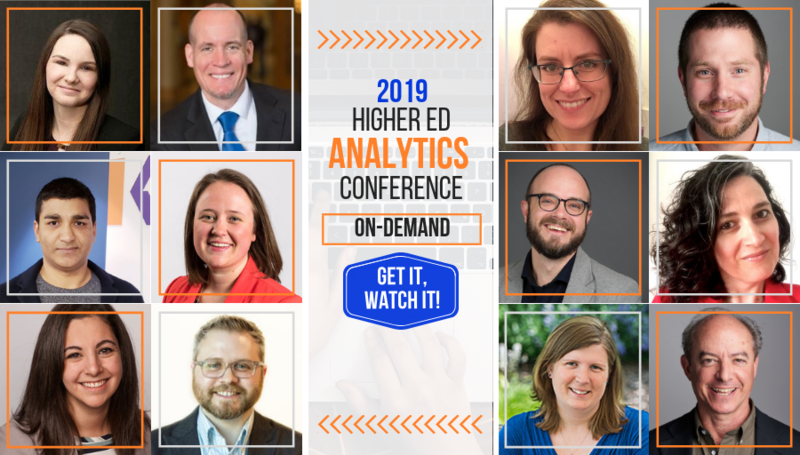 Entirely focused on analytics in higher education, the 2019 Higher Ed Analytics Conference (the 7th edition!) is now available on-demand. . This online conference features a dozen of 10-minute sessions presented by higher ed professionals working in institutions just like yours — with real analytics solutions to real higher ed problems. This conference is THE annual event for higher ed analytics professionals and digital teams interested in data-driven decisions to help advance their school. The 2020 Conference will take place in February 2020. The call for proposals will go out in October. Want to watch the HEA19 Conference sessions? If you previously registered and paid your registration fee, LOG IN! This online conference, now available on-demand, offers 12 focused sessions of 10 minutes each and a general session Q&A. No time to measure? No time to be strategic about measurement? You’re not alone! In this session, Karine Joly will show you how to reclaim your time, sanity and ultimately your creativity by adopting and adapting a sound – but simple! – measurement strategic approach. If they start filling out your online form and leave before submitting it, you will never know, right? Form abandonment is a big, but invisible problem, because most analytics solutions only tracks success. In this session, Aaron Baker will share a smart Google Tag Manager recipe you can use to automatically track not just one but multiple forms across your whole site. You’ll also see how this script detects an abandoned form and sends an event to Google Analytics, so you can see the last fields people filled out before leaving your form and you in the dark. Online higher education institutions targeting working adult students often struggle with disjointed and inconsistent communication and engagement efforts due to the typical length of the conversion path as they approach learning differently than traditional college-aged students. It’s a long journey from the stage of inquiry to enrollment. In this case study, you will learn how Avinash Tripathi tapped into the mine of behavioral analytics data from prospective adult students to help increase engagement throughout the student journey. You will see how Kaplan Higher Education (KHE), now the back-office support services behind Purdue University Global, use Google Analytics, Artificial Intelligence and Cloud platforms to optimize the performance of its response to inquiries to drive greater effectiveness and efficiency in communication across digital channels. Visitors who use your site’s internal search engine are well on their way down the recruitment funnel. Help them find what they’re looking for, and you’ll see significant improvements in your conversion rates. In this session, Alan Etkin will show you how to configure Google Analytics to track site search and, and he’ll point out keymetrics to watch. You will also learn how to use the data to improve search results through examples taken from BCIT. Google Search Console (GSC) now provides greater value than ever to higher ed digital marketers since its major update released in April 2018. Yet many are still not leveraging GSC to its full potential. In this session, Jessica Stutt will show you how to leverage segments, filters, dimensions and more features available in this great SEO tool. You’ll learn how this data can directly impact your institutional marketing strategy and content. Determining what website content needs to be updated can be a real struggle. What is the most important content to your audience? What is just rotting away on your site? Pageviews and time on site don’t always tell us the whole story of the user experience. In this session, Mandee Englert will share actionable tactics relying on custom metrics like scroll rate and the page value metric you can use to push your content strategy to the next level. You’ll learn how auditing your website content and measuring its performance can help you create an unforgettable experience that will connect your website user to your brand. More and more universities are getting into the podcasting game, but while podcasts have been around for over a decade, analytics hasn’t been a priority for most platforms. So, how can you measure the success or the impact of your podcasting efforts when data points are scarce? In this session, Jackie Vetrano will give you an overview of this podcasting analytics landscape. You’ll find out how to tackle podcast benchmarking, understand the available data and develop a report that makes sense. Video is in on social media. While the format is hot, it does also require more resources than text or pictures. So, missing the mark has a higher cost. In this session, Courtnie Ridgway will tell you how a focus on data has changed the video strategy of her school for the best – a 400% increase in video performance! You will also find out how she uses analytics to determine subject, style, schedule and more. How can you inform a “high-touch” engagement strategy on Instagram? By getting personal and tracking engagement data. In this case study, Robert Bochnak will discuss how tracking alumni engagement on Instagram has helped him share targeted content and increase audience engagement. You will find out the type of metrics to track and how story polls and questions can be used to collect even more data. In Google Analytics, conversion and acquisition reports are very valuable—but they typically show you the last user interaction prior to a conversion. In this session, Sarah Kowalski will share how she uses the Assisted Conversions and Multi-Channel Funnel reports to conduct a deeper analysis. You will see how you can follow this approach to see the real role paid search, social media, and other marketing campaigns play in your conversion funnels. So, you’ve set up a filter to exclude on-campus traffic from your reports. Great! But how can you be really sure that you are looking at the right audience? In this session, Joshua Dodson will show you how to use the demographics feature in conjunction with the in-market segment to zero in on all potential students — whether or not they have filled out your inquiry form. You’ll also learn how the resulting segment can be used to remarket to your audience via Google Ads or to analyze the content consumption on your site from these very important visitors. Customer Relation Management (CRM) isn’t a tool just for the admissions team anymore. In this session, Kris Hardy will explain how a simple hack can transform your CRM into a powerful campaign reporting tool. You will also explore the difference between anonymous campaign reporting in Google Analytics and the reporting capabilities available in most CRM systems. 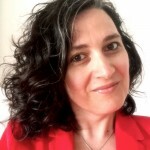 Karine oversees the development of the professional development curriculum at Higher Ed Experts and has conducted several research projects on the use of digital marketing analytics in higher education since 2011. She developed the Higher Ed Digital Marketing Analytics Roadmap (HEDMAR) Framework in 2016. Karine taught the capstone graduate course of the MBA in Social Media Marketing at Southern New Hampshire University: Social Media Marketing Campaigns, a course she designed and authored for this SNHU online program. At Higher Ed Experts, she has taught social media marketing to more than 150 higher ed professionals. Karine has shared her insights about higher ed digital marketing and social media trends since February 2005. She also authors the Internet Technologies column for University Business. She has presented on social media marketing, web analytics and online courses at leading higher ed conferences (CASE, American Marketing Association, EduComm, eduWeb, CUPRAP, HighEdWeb, etc.). 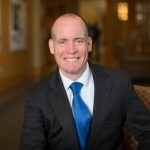 Aaron is a 15-year veteran in the Higher Education industry, with experience in Admissions, Academic Affairs, Information Technology, and Marketing Communications. As Associate Director of Content Strategy for Harvard University Public Affairs and Communications, Aaron is dedicated to measuring the impact of the nation’s oldest university by aligning strategic goals to a wide range of websites, email newsletters, and social properties. His work experience in the digital product lifecycle from content strategy and user experience to web development and production gives him unique insight into what metrics matter most to senior leaders. Aaron is a faculty member at Higher Ed Experts where he teaches web analytics for higher ed. 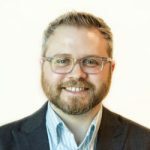 He holds a Master of Arts degree in Technical Writing and a Graduate Certificate in Data Science from the University of Arkansas at Little Rock. Aaron has also taught upper-level technical writing and information technology college courses. 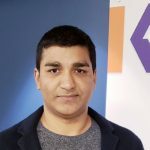 As a leader in the data strategy and advanced analytics team at Kaplan Higher Education, Avinash Tripathi establishes the organization’s data strategy and vision while providing operational support for the delivery of information and analytical solutions to the business key stakeholders. He has conducted data driven initiatives over the years that have translated into $MM incremental revenue and cost savings for organizations. Avinash’s goals are to expand his innovative strategy and 15+ years of analytics experience as he continues to have impact for organizations willing to stretch themselves through the challenging exercises that a solid program of consumer insight, competitive intelligence, statistical analysis, digital analytics, interpretation and recommendations can bring about. Alan Etkin pushes the boundaries of traditional analytics by measuring the monetary performance of higher education websites. Over the past decade, he’s honed techniques for monetizing behavioural metrics – including the use of site search – to help institutions identify effective strategies and prioritize investments. He’s a Senior Analyst at the British Columbia Institute of Technology, and works part-time as an Associate with Ruffalo Noel-Levitz. Mandee is the Digital Marketing Analyst on the Strategic Communications Marketing Team for Penn State University. She leads efforts to drive core insights from data to suggest, create, and execute optimizations that will drive fundamental improvements to the site experiences. She often consults campuses & colleges within Penn State using digital goals specific to that unit, and user feedback as a starting point for building a growth plan, monitoring/reporting suggested tactics and recommending further optimizations based on data collected from growth marketing efforts. Mandee has developed a diverse skill set with a degree in graphic design, held positions as a front-end web developer/UX designer and has a passion for web optimization/analytics which has led her to her current position at Penn State University. Jackie Vetrano is the online marketing and social media manager at the University of North Carolina at Chapel Hill. In this role, she assists the social media and web content teams by analyzing data to make strategic decisions online. Vetrano is the co-host of Higher Ed Social, a weekly podcast breaking the silos in higher education through unique conversation. The podcast is also part of the ConnectEDU Podcast Network, a network of podcasts for higher education, which she founded. Vetrano spends her free time running, trying new foods, earning a Master’s degree in Integrated Marketing Communications from Georgetown University, and posting photos of her cat on Instagram. Courtnie is a Digital Marketing Strategist at Tarleton State University. She oversees the primary social media accounts for the university and trains and supports admins for additional university accounts. Courtnie is an advocate for cross-training and cross-functional teams – she works with Tarleton’s web team on a daily basis to promote programs and opportunities at the university and to utilize data to make strategic marketing decisions. She is passionate about higher education, digital marketing, data and binge watching Friends on Netflix. Robert Bochnak manages social media channels—Twitter, Facebook, LinkedIn, and Instagram—for the school’s alumni office and since January 2013 has helped the school generate more than 100,000 alumni interactions via Twitter, Instagram, and Facebook. 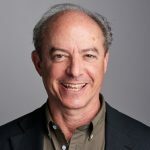 Robert writes about social media and higher education at https://www.linkedin.com/in/robertbochnak/ and is the former writer and editor of “GradMatters,” the Blog for the Tufts University Graduate School of Arts and Sciences. Robert holds a Master of Arts degree from the Tufts University Graduate School of Arts and Sciences and a Bachelor of Arts degree from the University of Massachusetts-Amherst. 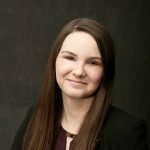 Sarah Kowalski is Web Content Strategy Manager at Montgomery College, a large community college in Maryland, where she implemented and leads the website analytics effort. She works to use data reporting and analysis to create better user experiences, also focusing on site architecture, search engine optimization, and all aspects of web content strategy. She has 15 years of experience in digital content creation, digital marketing, and web analytics in the higher education and nonprofit sectors. Josh’s experience working both inside higher ed and as an outside consultant gives him a unique perspective. Before joining VisionPoint, Josh was a key player in helping many universities modernize their enrollment and marketing programs. He’s led digital marketing efforts at Bentley University, Southern New Hampshire University, Eastern Kentucky University, and Lincoln Memorial University. In fact, his work at Bentley resulted in the most marketing-generated leads in the university’s history. Josh’s expertise also makes him a sought-after speaker. He has delivered more than 20 presentations, keynotes, and workshops at national higher ed marketing conferences and taught more than 500 students as a faculty member with HigherEdExperts. Kris Hardy is passionate about making the web a better place for prospective students and their families during the college search process. Hardy currently serves as the Director of Web and Digital Marketing at Messiah College and works part-time at Ruffalo Noel-Levitz as an Associate Consultant. He specializes in user experience, information architecture and web analytics. He has recently presented at HighEdWeb, the High Ed Analytic Conference, the RNL National Conference and the Slate Summit. Should I get the Higher Education Analytics Conference on-demand? A 1-year unlimited access to the recordings of the 2019 sessions on-demand. Collaboration with many academic units is required to plan the analytics strategy at most institutions. From one academic department to the other, primary goals often differ, so it’s never an easy task. In this session, Tatjana Salcedo will explain how she conducted a “collaboration campaign” in the name of measurement at her university. You’ll learn more about the process she developed to get more leadership buy-in and engagement, define goals and develop ongoing analytics strategies across multiple units to focus efforts on web marketing that works. You can’t measure what you don’t track. And you can rarely track what you don’t tag. Consistent tagging is one of the top analytics roadblocks in higher education. With 9 units, more than 10 websites, multiple social media channels, more than 20 million email messages and 2 CRMs, the Office of Enrollment Management (OEM) at Indiana University Bloomington couldn’t afford to ignore the issue. In this session, Bryan Wolf will share the new, more collaborative approach the team used to make consistent tagging a reality. You’ll see how this has helped eliminate data silos between units and modernize marketing analytics efforts for all units involved. Collecting data is one thing, but analyzing it is an entirely different beast. With so much data made available by social media platforms, how do you sift through it all to find the useful and actionable chunks? 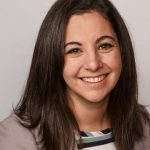 In this session, Erin Supinka will walk you through the social media analytics process she created at Dartmouth… with just Excel—saving time and money (small teams and budgets rejoice). You’ll learn useful tricks and tips to simplify your own analytics process. Facebook’s data export provides a lot of useful information you can’t find on the Insights platform. But the multiple columns of the data export look intimidating and their analysis can be quite daunting. 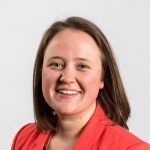 In this session, Jessica Stutt will help you to identify key information to gain insights into your post and follower data. You will also learn some quick tips on visualizations to help you share the story behind your data with colleagues and stakeholders. Print marketing is not dead in higher ed marketing: colleges are still sending plenty of snail mail. But, print doesn’t mean it can’t be measured. In this session, Holly Sherburne will share a case study on measuring the impact of Admissions postcards. From campaign tagging and vanity URLs to landing pages, KPIs, and Google Analytics goals, you’ll learn the necessary planning — and collaboration required — before you mail your next print piece to measure its impact. You’ll also see how you can make the results come to life and monitor them in real-time using Google Data Studio. measuring organic traffic, on-site engagement, returning visitors, and custom metrics. How do you measure the effectiveness of your Search Engine Optimization (SEO) efforts on your website traffic? In this session, Joshua Dodson will explain an effective approach to measure the impact on your SEO work. You’ll learn more about several tools that can help you get a handle on your site’s search engine performance. Since you don’t have time to test all the marketing tactics at your disposal, focus is a key to success for higher ed digital marketers. In this session, Mandee Englert will show you how she unleashed the power of data-driven focus by optimizing the campus visit registration process at Penn State University. You’ll also get tips and tricks to identify what you can do to drive high-quality prospects and growth by analyzing your data to find big growth opportunities. Still using event tracking hacks to measure engagement with your web content or online forms? Meet Google Tag Manager’s new built-in “visibility tag” and rejoice! In this session, Aaron Baker will show you how you can track whether a certain element was shown in a given pageview. You’ll also learn how to configure this new tag in GTM and how the resulting data looks like in Google Analytics. Has A/B testing always intimidated you because you didn’t know where to start? Google Optimize makes it easy to set up and run A/B tests on your website in minutes. In this step-by-step session, Laura Turner will show you how you can test multiple versions of your web page without touching code, target tests to different groups of people visiting your site, and view the test results integrated with your Google Analytics data. You’ll learn how to use Google Optimize to quickly set up tests on your website and see how small changes can have a big impact on your website goal conversions. Do you wish you could personalize your website content for specific audience groups, but don’t have the budget for an expensive personalization engine? In this session, Kris Hardy will explain how he used Google Tag Manager to incorporate some personalized content in Messiah College’s newly redesigned homepage. You’ll learn more about the approach you can use to implement some basic personalization for your graduate and undergraduate audiences with the help of GTM. Numbers alone never lead to actions. By providing context, data storytelling helps unveil meaning behind data points. In this session, Victoria O’Malley will outline ways to bring your data to life with a data analysis process that works for you – even with limited time and budget. You’ll learn how to choose the right visualization, understand your audience, and find stories in your data to support decision makers at your institution. Digital Analytics in Higher Education: Checked? Really? When it comes to digital measurement in higher education, are we there yet? Have you really checked web, email or social media analytics off your to-do list? In this session, Karine Joly will share the ideal analytics road map for digital analytics in higher education. You will learn what you should have in place, what you still need to work on and how to get there. For those who have learned the basic skills of Google Analytics, it can sometimes feel like we are repeating similar analyses or looking at the same reports. If you want to go deeper into your analysis, some tools can help. In this session, Joshua Dodson will share some tips for advanced techniques such as forecasting and intervention analysis. Social media isn’t the only channel to rely on vanity metrics for “performance measurement” in higher education. After years of analyzing web stats in a vacuum – with no connection to what the numbers really mean in “real world” actions – admissions and PR at Bluffton have finally began to collaborate to track what matters. In this session, Sara Kisseberth will share a case study on how this collaboration enabled her school to track and measure “real world” actions. If you’re still reporting on page views or sessions, you’ll also learn how to get this process started at your school. Analytics can tell you a lot about what’s happening on your website, and it can tell you a lot about what’s not happening, too. In this session you’ll discover analytics strategies that help you identify content gaps in your admissions content. You’ll also learn how to determine if you’ve filled those gaps with the new content you’ve created. And yep: these strategies work for non-admissions content, too. In the world of public affairs and newsroom analytics, you don’t have many concrete conversion goals to track. 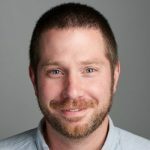 In this session, Aaron Baker will tell us how he went beyond the best out-of-the-box metric (bounce rate and the tricky average time-on-page) to help measure engagement on news stories. You’ll learn why tracking how far a user scrolls in a given page or story proved to be a great engagement metric and how it also improved the quality and reliability of those other out-of-the-box metrics. Higher ed marketing campaigns are painfully difficult to evaluate, especially when promoting programs. Long lead times to conversion frequently surpass Google Analytics’ ability to connect campaigns with submitted applications. In this session, Alan Etkin will explain how BCIT monetized session duration as an additional metric for measuring campaign performance. You will see how to calculate the value of session duration based on goal values, and find out what monetized session duration can help you learn about your audience. Do you manage multiple GA accounts for your school website(s), because… it’s complicated? In this tutorial, Ed Garabedian will show you how you can pull all your data together into a report using Google Analytics API, Google Sheets and a free add-on. You’ll find out where to get the plugin, how to configure it as well as more practical tips to develop your report configuration. Data Visualization Road Map: How to choose the right visualization for your data. When it comes to presenting data, the wrong visualization can destroy your message. It can be challenging to choose the right element (pie, histogram, etc.) to best present your data. In this session, Bryan Fendley will show you when and how to use the most common visualizations to help you better report analytics data and share insights. Google Data Studio allows you to transform your data into dynamic dashboards with easy to read charts and graphs that you can share with anyone. If you already use Google Analytics dashboards, you’ll be amazed by the new possibilities offered by Data Studio. In this tutorial, Laura will show you the basics to get you started with this game changer tool. You’ll also see how much of an impact this tool can have on communicating analytics data and insights in an understandable, clear and engaging way. How do you identify the real social media influencers of your target audience? Using data, of course! In this session, Robert Perry will explain how he developed a data-driven approach to identifying online influencers for a London-based university. You’ll get some practical tips to replicate this approach at your school to differentiate the real influencers from the wannabes on social media. Like it or hate it, Facebook is still a major social media platform in higher education. You spend time crafting the perfect social media content, but are you investing enough time measuring their performance? In this session, Michelle Leslie will tell you where to find analytics data, how to interpret the metrics and how they can help you optimize your content strategy on Facebook. Think Snapchat is difficult to use? Wait, until you try to measure the success of your stories and other snaps. In this session, Colin McGinnis will go over how to use the limited metrics provided in Snapchat to develop an analysis strategy to help measure performance and inform decisions on content delivery. You’ll get practical tips about what data to pull and how to analyze it. Imagine, with a number in hand, the web acrobat shoots above the onlookers, hoping to reach his mark. He has data and desire, but how does he balance it all to get the most out of it? In this session, Joshua Dodson will discuss the key components of a balanced measurement and improvement strategy. You will learn how all these elements should work together to give you a full picture of what happened, what the results were, and what you should do next. From October 2014 to September 2015, Karine Joly conducted a 1-year project on higher ed websites in the US, the UK, Canada, Australia and France. She published monthly benchmarking reports using Google Analytics benchmarking reports for Universities & Colleges websites. In this session, Karine will share – for the first time – data and insights, gained from this 1-year benchmarking project, on web traffic to higher ed websites. Getting institutional buy-in for your analytics program may be harder than you think. Everybody says they want to be data-driven, but many in higher education still fail to get the “Analytics” message across. In this session, Bryan Fendley will show you how to turn data skeptics into data believers on your campus. You’ll learn some good tips and useful tricks to help you get all your units onboard with analytics. Google Tag Manager has made it easier to implement Google Analytics on higher ed websites. It has also helped make content and design decisions on a daily basis by facilitating the measurement and analysis of all kinds of additional website interactions (file downloads, jQuery interactions, YouTube videos, etc.). In this session, Tatjana Salcedo will cover how to implement the latest version of GTM (v. 2.0) at the institution-wide level while preserving departmental GA accounts. You will also learn how to implement tags to collect the data that matters to your team. Big university or small college, if you monitor your website’s analytics, you inevitably get questions about what’s getting tracked, how content is doing, and how to do things more easily. In this session , Avalee Harlton will share the top 10 questions — and their answers – you get when your job is to help your campus colleagues gain insights on their web content performance. Email Activity or Email Achievement: What Are You Really Measuring? Less than 20% of higher ed enrollment emails use cross channel analytics. So, what matters in email reporting? In this session, Jens Larson will dive into the key email metrics you need to track. You’ll get useful tips pertaining to your email system, your Google Analytics account, and your handy statistical calculators. Brand Breaker or Brand Maker? How can you use Google Analytics to measure the impact of web projects that don’t immediately align with your standard marketing initiatives? At BCIT, Alan Etkin compared the conversion rate from the visitors of an unconventional brand-focused micro site with the CR of non-visitors. In this session, Alan will share details about this approach and tell you how you can apply the same techniques at your school. What’s the contribution of your website to the bottom line of your institution? To answer this (hopefully!) million dollar question, you need to put a dollar value on each of your key conversion events – everything from contact forms submitted to program applications paid. In this session, Alan Etkin will share the steps he took to identify the value of each site conversion. You’ll get details about the process, lessons learned and examples of the resulting reports demonstrating the real value of a web conversion for the institution. Numbers don’t lie, but proper analysis and context are needed to understand your strategy’s success. Investing time and energy into monthly analytics reports isn’t easy, but it’s worth it. In this session, Chase Baker will discuss top Key Performance Indicators for social media. You will also learn how this data is presented in custom visual reports. Snapchat – the new kid on the social media block – is a tough platform to measure. But with 50% of its users in the 13-17-year-old age group, it’s clear that it’s a great place for colleges and universities to infiltrate. In this session, Lindsay Nyquist will share the best ways to measure Snapchat to determine its value for your institution. You will learn more about metrics, tools and best practices for SnapChat measurement. Social media Return on Investment (ROI) is difficult–but not impossible–to prove. In this session, Robert Bochnak will share how the Harvard Business School’s Alumni Office collects and reports on social media ROI by tracking and “scoring” alumni interactions on Twitter, Facebook, and Instagram and measuring calls to action. You’ll find out how this data is reported in a variety of ways. In 2013 social media had an integral part – proven by data – in helping to enroll the incoming class. Moving beyond correlation and complex channel attribution models, Adam Coulter tagged and tracked prospects to measure the impact of his work. In this case study, he will show you how this simple but strategic process helped him measure social media return on investment at his school. Dr. Liz Gross, Social Media and Market Research Strategist – Great Lakes Educational Loan Services, Inc.
Facebook ads, particularly when combined with sophisticated targeting, can be a great way to reach your audience. In this session, Dr. Liz Gross will show you how to set up a Facebook advertising campaign so its results can be tracked. You will learn how to use both Facebook Ad Insights and web analytics to measure success in relation to your key objectives—not just reach, clicks, and likes. Good analytics work doesn’t stop at numbers — and sometimes, it doesn’t always start there either. 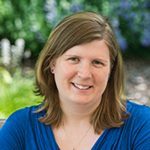 In this session, Stephanie Leishman will discuss why qualitative analysis is essential and will demonstrate the role of qualitative reporting for integrated media campaigns, emergency communications, and more. You will get some great pointers to use storytelling techniques to make your analytics reporting more effective. Got dozens (hundreds?) of Google Analytics accounts originally set up by decentralized units? It’s time to consolidate to get the big picture and track your website visitors throughout your institutional website. In this case study, Avalee Harlton will explain how York University recently moved to a single university-wide account. You’ll learn how you can do it at your school with practical recommendations to consolidate your Google Analytics accounts at your institution. Want to help your stakeholders make decisions on real data? Meet your new friend: Google Analytics SEO Queries Report. In this session, Matt Hames will explain the data you’ll find in this report. You will also learn why and how you can use this report to help make the case for your integrated digital strategy. When Google Analytics meets your Calendar: What on earth happened at 6pm? When you track analytics on a quarterly or annual basis, it can be difficult to figure out what caused a particular spike in traffic on a specific day. In this case study, Shannan Palma will show how Emory University tracks significant events throughout the year (admission cycle, conferences, and even snow days) and correlates those dates with analytics data. You’ll learn how you can do the same to tell coherent stories in your reports and to guide future decisions about content and the organization of information on your website. California Lutheran University rolled out a major marketing campaign for its Bachelor’s Degree for Professionals program in Summer 2014, incorporating both digital and offline media. In this case study, Erik Hagen will share the process used for planning and measuring relevant data to find out what worked and what didn’t. Through this example, you will learn how to analyze campaign results and to break down the performance of each channel using advanced segments, multi-channel funnel analysis and A/B testing. One of the biggest selling points of an academic institution is its academic programs. In this session, Tatjana Salcedo will explore methods to measure programs pages accounting for prospective student interest, potential for program growth, and institutional enrollment goals. You’ll gain insight on how to approach improving these important pages and measure your efforts going forward. If you’re assessing the success of your social media program using only Facebook Insights or Twitter Analytics, you’re missing important data points. In this session, Liz Gross will show how you can use segments in Google Analytics to gather information about the behavior of your website visitors referred by Facebook, Twitter, LinkedIn, and other social media sites. The Google Analytics Social Report can do more than simply capture traffic from social networks to your college website. In this session, Vanessa Theoharis will explain how this report can spark discussions about social media, but also content strategy, audience analysis, and education. You’ll learn how Babson College has integrated data from the Social Report into the school’s dashboards, thus giving social media a place at the analytics table. Ohio State’s Board of Trustees asked University Communications to report, on a monthly basis, a single metric that would track and show progress on the university’s use of social media. This seemingly simple request blew open the lid on how difficult it is to compare retweets to Facebook comments, how traffic pushed to social media compares with traffic driven to owned properties from social media posts. This presentation will share a process Ohio State has established for the monthly tracking and reporting of a single metric for measurement. How do you make the case for the digital initiatives that should be implemented at your school? In this session, Todd Gregory will show you how to prove the true value of your proposals by leveraging digital analytics and some basic business modeling techniques. You’ll also learn about one specific framework for value and ROI modeling he used at Penn State to build a case for additional funding. Showing Impact by Predicting What Could Have Happened: This was the Result of That Campaign… Really! Getting the metrics is not the hard part. Knowing what caused the results can be more challenging. By using intervention analysis, it is possible to see the overall impact of a campaign or initiative. 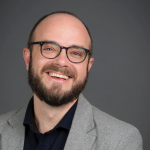 In this session, Joshua Dodson will show how you can use Google Analytics data to perform an intervention analysis to determine campaign impact. He’ll also explain why this kind of analysis can be used to make positive changes within higher education marketing and enrollment. You’ll learn this technique to improve your analysis and add value to your institution. Not sure what you should measure? Don’t count on your analytics tool – or crystal ball – to tell you. 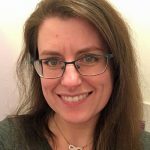 In this session, Stephanie Hatch Leishman will explain why only *you* can define your key metrics (or key performance indicators as there are also called). She will take you for a quick back-to-basics: before reporting, before measurement, all the way back to strategy: priorities, audiences, and metrics selection. Starting right can change how you change what you measure and how your report. This will be the bird’s eye view of how to think strategically and how to define metrics that are uniquely important to your unit or your school. Higher ed institutions often have very complicated web ecosystems that include multiple domains, subdomains, microsites and 3rd party applications that students must navigate across to find the information they seek. Without cross domain tracking a visitor’s path from source (ie Facebook campaign) to final destination (ie registration page) is often broken by leaps across these related but separate domains. In this session, Philippe Taza will explain how cross domain tracking works, provides examples of cross domain tracking code, and highlights the benefits of cross domain tracking data at work in Google Analytics reports. Are you still tracking your campaigns the old way? Google Tag Manager (GTM) is the new method for ‘tagging’ pages for tracking general analytics as well as more advanced tracking that previously required marking up the tracked page very specifically. GTM allows you to replace a lot of previously embedded code with one for GTM, and then manage all tracking externally. Once the GTM code is in place, you will be even able to track those elusive items like PDF downloads! In this session, C. Daniel Chase will explain Why you should use GTM, and what your need to get it up & running for basic analytics. Wouldn’t it be nice to take the guesswork out of web page optimization by comparing the performance of up to five different versions of a web page? That’s exactly what Google Analytics Content Experiments allow you to do by testing content, design and interactive features with a random sampling of your site visitors. By comparing goal conversion rates on each page, you can rapidly and effectively optimize your landing pages using data driven decisions. In this session, Tatjana Salcedo will take you through the steps necessary to set up and run an experiment in Google Analytics so you can get started and optimize your landing pages. Do you think analytics data is where the puck stops? Not always. It can also be what can get you buy-in for web usability tests — and ultimately better websites. You meet with a department to discuss their web analytics and how to improve their content strategy. You show and interpret the numbers, you make recommendations, and then comes the big question: “How do we know what our users are thinking?” In this session, Rachel Johnson will share lessons learned from her experience using analytics to start the web usability talk with clients at her institution. Who doesn’t want to attract international students now? To support a new campus efforts to increase international recruitment, Le Moyne College needed to find answers to some fundamental questions: are recruiting initiatives with external partners driving traffic? What countries are reached? Do these visitors connect with the school? What information are they interested in? In this case study, Michelle will explain how she used the power of dashboards to answer these questions and will walk you through how to create the dashboards, the advantages of using segments vs. filters and see the information you can use on your campus. How do you make sense of the Twitter data for your school account? You make it more visual! Despite the increasing availability of Twitter data, there are still relatively few tools for digital marketers to visualize and interpret this data. Netlytic, a free web application developed by Prof. Anatoliy Gruzd’s Social Media Lab out of Dalhousie University, offers an easy-to-use interface that guides would-be data scientists through the process of creating their own visualizations in minutes. In this session, Adrian Ebsary will walk you through how to transform spreadsheets of Twitter conversations into coloured reply networks or showcase popular keywords in a timeline format. Not a number person? It doesn’t mean you can’t based your decisions on data – qualitative data is also part of the analytics approach. At SUNY Oswego, one newer and successful venture is content analysis — tracking and measuring user content — and even interacting with it to discover the kinds of social media and web content that can bring help or happiness to our audiences. In this session, Tim Nekritz will share an interesting case study on how to use content analysis. From having student creators posting videos or blog entries addressing questions and popular topics to extensive use of Tweetdeck and Webstagram to stay on the pulse of current and prospective students, qualitative and quantitative content analysis can bring you closer to your audience. You will see how it can result in user-generated content you can leverage to meet strategic goals. What do you do when you have keen but untrained university staff asking for access to Google Analytics? Once you’ve logged in, it’s easy to get lost in the reports, even when you know what you’re looking for. But, when you don’t, it’s downright intimidating, especially for complex sites. In this session, Alan will share a useful model for creating views populated with custom dashboards, reports and segments for specific work units. This approach will help focus staff efforts, and reduce the time you spend guiding them though the reports. Are you still trying to persuade upper management to make data-driven decisions? Does your boss still ignore your great reports and beautiful dashboards? In this session, Colleen Clark will explain how higher education analysts can present (yep, a presentation is the secret weapon!) data in a digestible yet actionable format to senior management. You’ll understand the different types of best practices to use with upper management and which data sets will make the greatest impact. You’ll also learn how you can best put the pieces together even when your story takes an unexpected turn. Measuring the effectiveness of marketing campaigns and optimizing your website presence is becoming more and more important. Depending on your needs, a full-time web analyst is becoming a necessity. Find out some tips on selling the idea of a web analyst and attributes to look for in your new hire. You’ve covered the basics. You know all about Bounce Rate and Goal Conversions, but want to go deeper. In this session, Joshua Dodson will discuss some new tactics to help you reach the next level in your data analysis. You learn about advanced demographics, content calendar planning with data, and predictive analysis with time series data from Google Analytics. Can’t do much with Google Analytics without setting up goals, right? As the most important feature in Google Analytics, they provide immediate context to clickstream metrics. In this session, Seth will help you go back to the (very important) basics. You will explore the importance of goals, when to use each type and review examples of reporting enhancements from goal tracking. Imagine (or remember?) you’ve been asked to provide insights to drive decision making for all online and offline channels. Where do you start? In this presentation, Colleen will explain you the importance of tracking every marketing effort around all medium channels including print, banner, social, and search engine. She will show you how an integrated tracking management plan can make a difference to streamline the communications process across all higher ed clients. You will review how to properly implement tagging, note the main issues you may encounter and the types of engagement metrics you should evaluate. In November 2012, Emory added automated, categorized click-event tracking for Google Analytics as part of a ground-up rebuild of its main university web site launched. John will explain how this was implemented, the results in Google Analytics and how they are used. You’ve definitely heard about Google Analytics reports, but customized dashboards might be one of the best kept secrets of web analytics professionals. Google Analytics dashboards are perfect for keeping key perfomance indicators (KPIs) top of mind. You can customize them for specific departments or functions, and you can even automate their delivery. In this presentation, Alan will share an advanced strategy – and specific configuration tips – for making the most of Google Analytics dashboards. With so much data it’s often difficult to know where to start your analysis and generate meaningful and actionable reports. In this presentation, Tatjana will detail one basic but useful Analytics project to get you off and started gathering data. You’ll learn what you can do to make improvements in your institution’s email marketing efforts. How do you justify all the work done on social media? Choosing the right metric to quantify return on investment is challenging with social media. While a number of big name companies such as Klout and PeerIndex offer comprehensive dashboards with content analysis tools for multiple social networking sites, their score algorithms lack transparency. Adrian will examine some social media metrics that provide unique takes on online influence. He will share concrete examples and the strategies for benchmarking effectiveness in online communities used at his school. Analytics can help you make data-driven decisions, but what if you’re not the person making final decisions? In this presentation, Mardy will share her analytics success story featuring the reports created for management in an effort to show the traffic generated to the site through search engine optimization and the usefulness of the site based on event tracking after a redesign. She will explain how analytics demonstrated the importance of the website in her school’s paper reduction campaign and its role in meeting students needs by offering direct email contact to all instructors. We’ve all gotten that call asking for one more call-out button on an existing landing page. The client’s eyes tend to glaze over when the dreaded words “information architecture” or “user experience” are uttered. In this presentation, Michelle will show you how she used Google Analytics to inform changes to her college’s admission landing page. You’ll see how visitor flow to under-performing areas has improved as a result of these changes. Before embarking on a recent homepage redesign project, the University of Chicago studied its Site Search Analytics to understand what content users were searching for once they came to uchicago.edu. Amy looked for prominent patterns—and gaps. In this presentation, she will share a practical example of how to make a site search inventory and group findings into categories to recommend new web pages and navigation changes. Amy will also show you how to set up Site Search Analytics on your Google Analytics account and gives you useful tips to get started. We often think of analytics as a “how did we do/how are we doing” process losing the opportunity to use analytics to help us identify lost opportunities – things we did not even have on our radar screen. In this presentation, Rebecca will guide you through a “sleuthing” case study. She willl give you a peek at how she used analytics up front to inform the strategic approach to developing the UB International Admissions site and to influencing changes in UB’s top level website. You’ll see a concrete example how to pin point opportunities to better leverage the traffic you already have. Who is your audience when you work for a higher ed institution? We all use similar labels for them: propspective or current students, alums, parents or donors. But, really who are the people who visit your institution website? In this presentation, our Higher Ed Analytics Prof, Joshua Dodson, will show you how to become an Analytics Profiler – not to catch serial killers, but to understand who your actual web visitors are. He will explore how to utilize a combination of Google Analytics data as well as other external tools to profile your actual audience and make sure your website addresses their needs. Want to watch the Higher Education Analytics Conference? After the conference, I felt re-energized and ready to implement several of the tools for analytics. I plan to share the materials with my co-workers to inspire them as well. Good experience. I like that the sessions are short and to the point. It's easier to retain the information. The Higher Ed Experts Analytics Conference presented new ideas across a broad range of digital marketing analytics and offered the chance to connect with leaders in the field. I feel like I received a lot of useful information, but it was a bit overwhelming. Lots of good information with a variety of topics on analytics. Getting info in short bursts made the 3.5-hour event go quickly. A great value! I came away with lots of ideas for our college. It was fast-paced and sometimes over my head, but it was informative to say the least. We have many opportunities we need to improve upon at my university and the takeaways were a great starting place. We liked the speed of the sessions but in the sessions that pertained specifically to someone's job role, they were left wanting way more content complete with examples. The Analytics Conference was full of bite-size ideas to give me new insights into how others are using data, but all in a format that was quick to get through without burnout from being too long! I enjoyed the length of the talks and was surprised that I was able to get a lot out of a short amount of time. I received valuable actionable tips for improving our analytics setup and analysis. This will be great for creating new, engaging web and social content. Very little topic overlap, which was appreciated. I walked away with lots of manageable action items and new tools to explore in a very short amount of time and without having to even leave my desk! A great - well put together conference for higher education professionals looking to take their analytics to the next step. Very solid group of presenters offering helpful information. First-rate topics, first-rate speakers. A really enjoyable and worthwhile conference--worth the price of admission! We got a lot of executable pro tips in a really short period of time. It was great. I also appreciated the breaks to discuss as a team. I really enjoyed the 10-minute session format. It's a great way to boil down and present information, giving the viewer many avenues for further study. Great! This was my first conference with Higher Ed Experts and I will definitely participate again! The length of the sessions made it easy to stay focused and I appreciated the breadth of topics related to digital marketing. I came away with a lot of great ideas to implement for my college, particularly as we begin a new digital communications strategy. I like the format and the presentations were informative. Really enjoyed the format, which made it easy for colleagues to come in and out as needed for focused topics. The moderator kept everything on schedule and we had time as a team to discuss opportunities to personalize what we learned. The presentations were the perfect amount of time and the presenters really paid attention to giving as much of their knowledge as they could without rushing through it. I couldn't even believe that three hours had already passed. I'd say my experience was... a bit overwhelmed, but also excited at all the possibilities that lie ahead. I am getting more familiar all the time with analytics in my role, however this was so helpful in developing an understanding of what I need to learn more about, and apply for results to my institution's digital analytics and strategy. I work with a highly motivated and very SMALL team, and we're committed to working with data to make better decisions and effective strategy. The information is useful, timely and tailored to higher ed -- I always enjoy these conferences. The presentations were very interesting and full of actionable takeaways. It was great to see how other institutions are strategizing their efforts around analytics. Really great to listen to, informative. Overall the online conference was very useful and insightful--very convenient to be able to login remotely to access the wealth of information. I left feeling inspired to better utilize some of our current analytic software. The conference was mind blowing! It is inspiring to see what other institutions are doing and how much we can grow together. I learned a lot and I am looking forward to put the new knowledge into practice. I highly recommend it! The conference helped to show me that we're just scratching the surface of what we can do from an analytics perspective. It's given us a lot to talk about what we can provide in the future for our organization. Positive. Good for a snapshot of what is going on in this world. This is our 4th year hosting for about 20-25 web analytic people spread across various units of NYU -- who normally don't work together. We found it valuable to see what other higher ed organizations were doing with analytics. It's a great opportunity to verify where your strengths and weaknesses are, get new ideas and a few takeaways to fill in the gaps. I like the length of each presentation - short and concise. I like the short presentation format -- you get just enough information to help you get started. With the short presentation format you can learn about many topics in the given timeframe. The conference was engaging. The pace was good. The presenters actually use the tools they were talking about, allowing them to provide real higher ed examples. I feel empowered to make informed strategies and plans for my institution's marketing and social media efforts. Fast-paced roll through the world of analytics providing a number of useful tips along the way. Great to have access to such a breadth of topics. Easy to follow and flexible. This was a really helpful conference, even though I work in social media only. I thought the web stuff was great, even if a bit out of the scope of my work. It was fantastic. As a "newbie" to Web Analytics, this conference is a great introduction to the power of these online tools, and how they can benefit our university. I thought this conference was very well organized. I assume the presenters were located throughout the country, yet it worked seamlessly. It was a great way to learn about new topics of data and analytics and find new topics to learn about more on my own. The HEA16 provided useful knowledge about what other institutions are doing currently in their web analytics and social media measurement. At times, it could’ve been helpful to dive deeper into certain topics, but the short format gave us a chance to get a wide breadth of information. By listening to a variety of sessions, I was able to identify what I already know, as well as what I need to explore further. Multiple presenters shared great examples of how to use analytics strategically to be more effective and efficient with marketing and communications efforts in higher education. Each presentation supplied useful and valuable information about very relevant Higher Ed analytics topics in a quick and engaging format. It was a great introduction to a number of different ideas that helped us identify new areas to explore. Each segment was long enough to share valuable information and short enough to keep our interest. The talk time after each section was useful and the 10-minute breaks were just right. The pace was very quick, but I learned so much and got fired up to do so much! A little overwhelmed with the amount of information but excited about the possibilities going back to my team. The 2016 Higher Ed Analytics Conference provided me with useful tools that I can use in my work. All of the presenters were well-prepared and experts in their field. A valuable experience for me. It helped reinforce the strategy, direction and tactics we are employing and gave me new ideas to look into. Time well spent! The presentations were succinct, relevant, and informative. I really benefited from the information and cannot wait to implement it. Helpful as a first-time attendee. I was able to get some good nuggets from a few presentations. Very informative and motivational session. I've walked away with a number of ways to improve my web and social media reporting. Boise State had a room of approximately 30-40 people attending the 2015 Higher Ed Analytics Conference. The feedback was fantastic. People really enjoyed the fast-moving format and interesting topics and speakers. 100% of our survey respondents said they learned something that they could use in their job. It was a great way to very quickly get a broad spectrum of advice from several experts in the field. Each expert approached similar problems in different ways - which allowed us to pick solutions that best fit our needs. There were quite a few practical tips I was completely unaware of. I figured I would learn some conceptual ideas about Google Analytics from the speakers, but the practical tips and suggestions were incredibly helpful. I feel like I will be able to make beneficial changes to our campus Google Analytics configuration TODAY. The analytics information was great and applicable to our institution. It was excellent leaving with actionable insights to apply to our future analytics efforts. Easy to understand, digestible, actionable information and presentations. The presentations offer smart lessons for using Google Analytics. More importantly, they provide opportunity and context for reflection on my institution's own marketing goals. I appreciated the clarity and pragmatic nature of the presentations. I walked away with a clear list of immediately actionable insights—and I knew how to accomplish them. There was a lot of good take aways and I've been inspired to dig deeper. We assembled a group of interested web and marketing pros from across our large campus because it was a webinar directed at higher education. We can learn a lot more from our colleagues than we can from big consumer marketers, and that was refreshing. Nice work! Fast-paced journey highlighting key tips and trends in higher ed web analytics. Gave me just enough info to explore on my own, and made some Twitter connections for help/resources. This conference gave me the opportunity to see how much is out there that I need to learn more about. I definitely have some topics to explore and even classes to take. Very informative and provided many ideas for us to consider using. Came away with some good ideas, had some good discussions. I enjoyed having a number of speakers give short talks, and it was interesting to hear how my counterparts across the higher ed industry utilize Google Analytics. I would attend the conference again! As an attendee, I got a lot of unexpected takeaways, and some great insights into where this ever-changing field is taking us. I feel ready to dive back into my data with more confidence. The conference presented me with a wealth of knowledge that I can start to think about implementing. It's given me the confidence to not be overwhelmed and to start to learn more. I enjoyed the conference. I thought that the short presentations were the perfect way to learn about a large number of topics in a short amount of time. As a team we were able to take good nuggets of information and begin discussions about how to implement some of the topics discussed. It also brought to light how much more information is available if there is context/goals applied to the data. It was a fire hose of analytics! Thankfully, I had an indirect or direct takeaway from almost every session. Very informative and great to be able to ask questions at the end of the presentations. I liked the variety of topics covered.